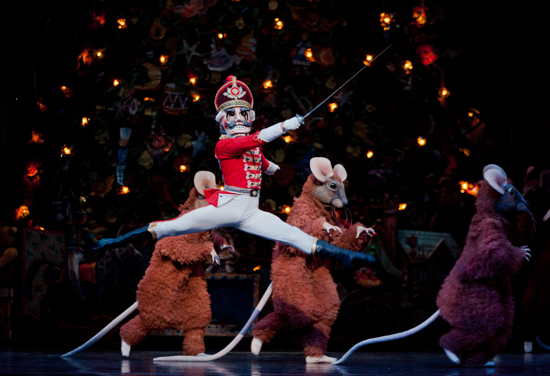 The production sounds quite impressive with such special effects as a “Christmas tree which ‘grows’ to 40 feet, 200 pounds of ‘snow’ falling during the snow scene, and the firing of a cannon onstage.” The dancers are accompanied by the Houston Ballet Orchestra under music director Ermanno Florio. 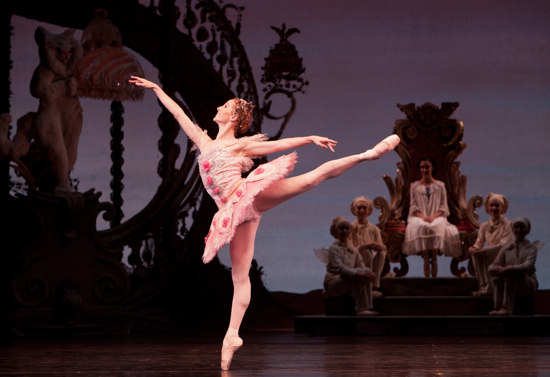 Like many large ballet companies, such as English National Ballet, Houston Ballet has found creative ways to address the enormous funding needs of maintaining a major arts organization. In 1981, Houston Ballet launched Nutcracker Market, a “Holiday Shopping Wonderland”, featuring numerous merchants and a large crew of volunteers. Not only is it a great approach to fundraising but it’s an excellent way to kick off the season of The Nutcracker. One sign of Houston Ballet’s success, now overseen by Artistic Director Stanton Welch, was their move earlier this year into an impressive new Center for Dance in downtown Houston. On a related note, my post about this news was the first at All World Dance following my welcoming announcement!